What does the ideal woman look like? Does she have pin straight blonde hair, blue eyes and a skinny waist; or does she have brown curly hair, green eyes and a curvy figure? Maybe she's super tall, with a half-shaved head and dark skin? Maybe, just maybe, there's really no such thing as the "ideal woman"--and now, the most popular doll in the world reflects exactly that idea. Mattel will introduce three new body types to its line of Barbie Fashionistas, including tall, petite, and curvy. In addition to the new body types, the Fashionistas line (pictured below) will feature dolls with seven different skin tones, 22 eye colors, and 24 hairstyles-not to mention countless outfits and accessories. Barbie teaches girls that they can do anything. I can't think of a single profession that Barbie hasn't aced--from doctor to designer. And this year, Barbie will become the ultimate leader as she gets ready to take charge of the U.S. as both president and vice president. Now that is one accomplished lady! But now, Barbie is showing girls that not only can they do whatever they want, they can look however they want--and feel great about it. The addition of new body types is a major, revolutionary change for the 57-year-old doll brand, so the question on everyone's minds is: Will it sell? My question is: How could it not? 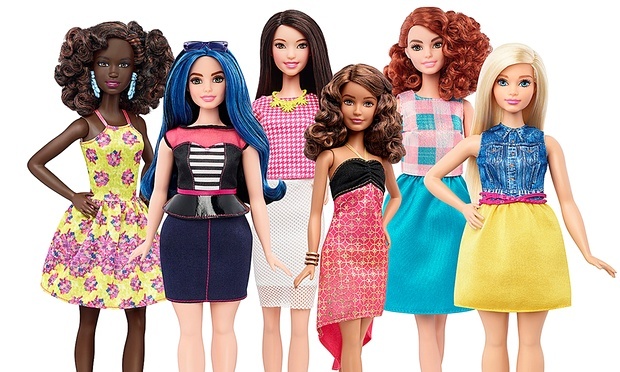 Barbie is a billion-dollar brand, despite sloping sales trends in the last few years. Kids still love her, she is still selling and she's still a highly recognizable brand, but one thing is for sure: It was time for a change. We live in a world where women are more powerful than ever before, and that includes women of all shapes, sizes, colors and styles. Beauty means different things to everyone, and now kids can have a toy box that features women who are just as strong, beautiful, stylish and unique as the real women that surround them everyday. It's all about giving kids--and parents, who are the ultimate toy buyers-options, and Mattel is giving them more than ever (for less than $10 a piece). Whether kids want to keep it classic with Barbie's evergreen look, or they want to find a doll that looks just like them, there's something for everyone, and they are all beautiful.